After watching me collect and use miles for years, B finally jumped on the bandwagon with a credit card offer from Alaska Airlines. Hence, we had a free ticket to use and some free time over Christmas, so we decided to head to Hawaii. 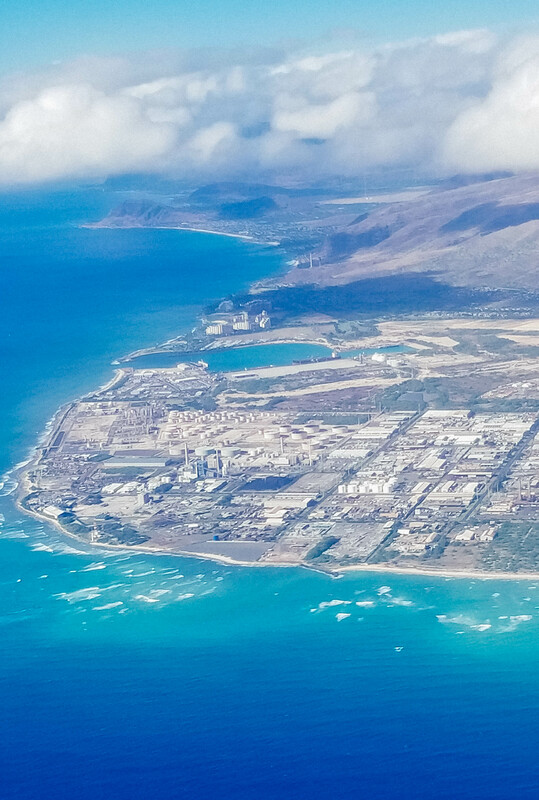 We chose Oahu since I had a friend who’d lived there for a few years and I hadn’t had a chance to visit her. I’d met Vanya while I lived in Augusta, GA. A mutual friend of ours, a Bulgarian as well, had introduced us. I hadn’t seen her and her family (a husband and a daughter that was now college-age) since 2009 when I moved to LA. It was high-time we caught up! 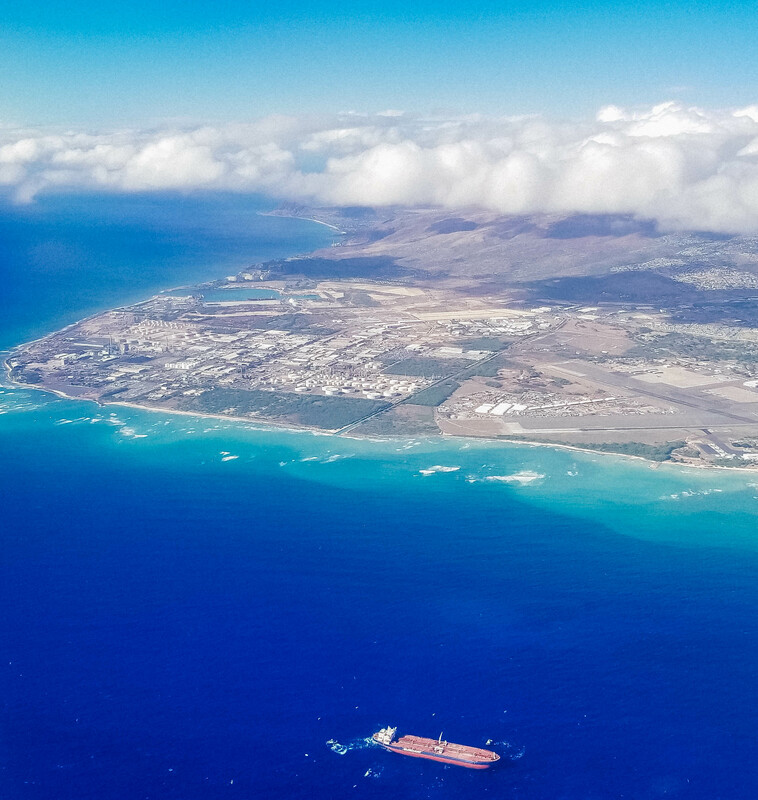 This was going to be my second time spending Christmas in Hawaii – I spent Christmas 2014 on the Big Island. 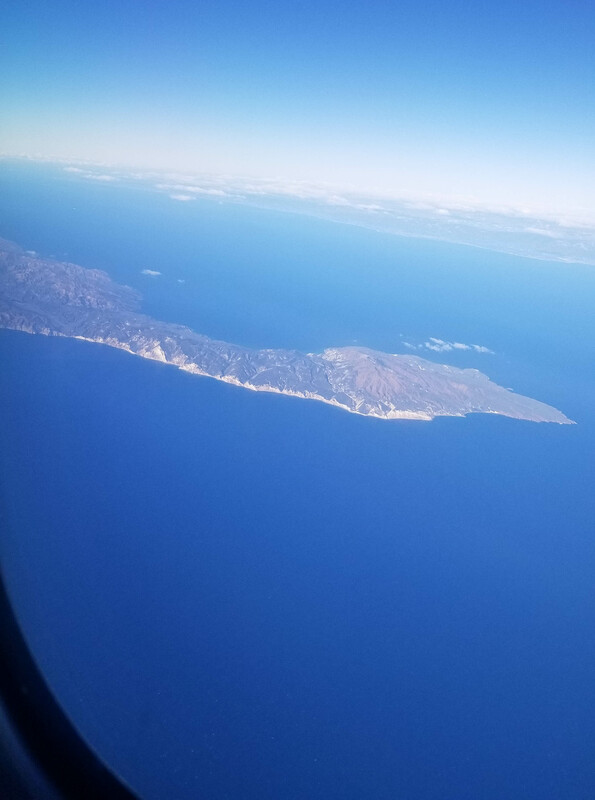 We left LA on Christmas day, as that was the cheapest option – we still had to pay for one ticket, and since it was late November when we booked, tickets were quite expensive. 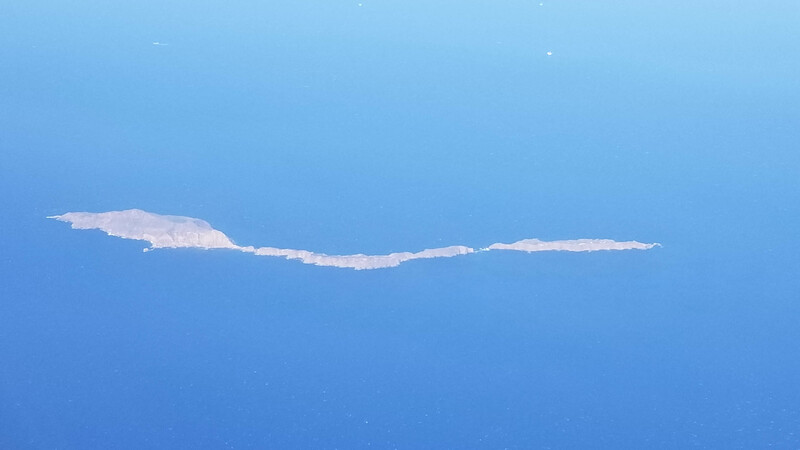 As we headed west, we flew over the Channel Islands, which I had visited earlier that year. The flight took about 5 hours. 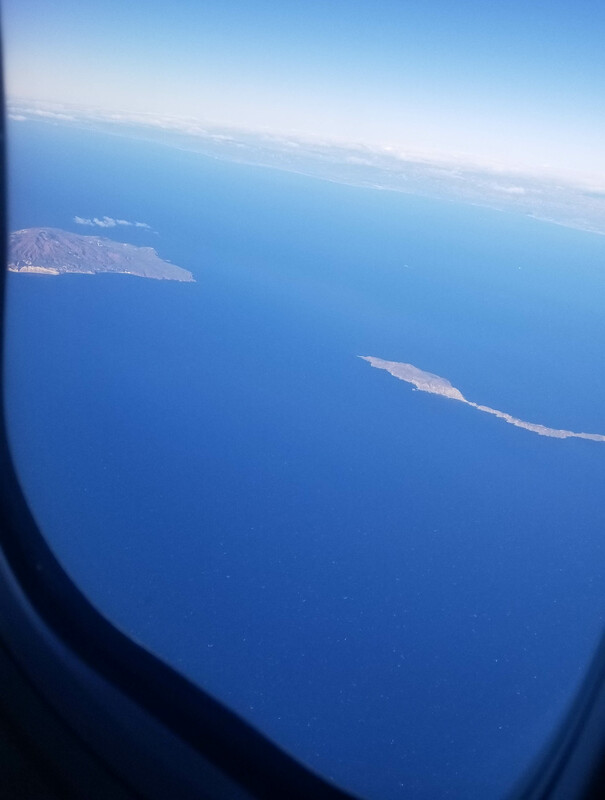 We were excited to see the island come into view as we approached it from the south. B had been to Oahu before and he recognized the general area. My friend insisted on meeting us at the airport even though we were renting a car. She met us at the rental car desk, after which we followed her to her home in Wahiawa, about 40 minutes from Honolulu. Since it was Christmas Day and we had spent the whole day traveling, we spent the evening catching up with my friends over dinner. We looked forward to start exploring the island the following day.